The contest organizers, along with the partners, attended to all details which could facilitate the jurors’ work. Some jurors shared their impressions on social media in real time. Dawid Gemtsemlidze wrote on Facebook: ”Wine tasting in progress…. 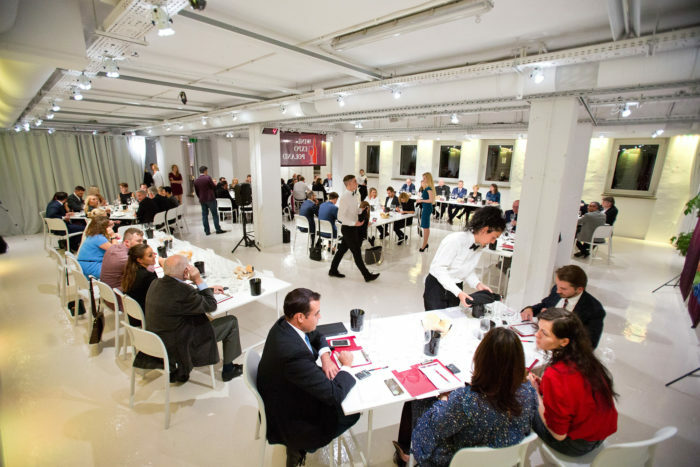 I am the only expert – judge… More than 100 wines are presented from all around the world. At this table we are going to taste around 30 wines… Blind wine tasting…. Don’t know the origin or the producer”. As Michał Bonarowski reported: “The jury in the Wine Expo Poland contest is halfway through their tasting. We have already tasted 23 wines, ten still to go. Some are really good, a few – not so much. We will get the results in two weeks time”. Everything will become known precisely on the 26th October, when during the Wine Expo Poland awarding gala ceremony, the results of jury deliberations will be announced – which wines, entered into this year’s contest, won medals from professionals and which were selected by consumers. Or were there wines that impressed both groups? Wine Expo Poland Awards, an international wine contest, is a part of Wine Expo Poland & Warsaw Oil Festival trade show. The competition is open for all: exhibitors participating in the show as well as producers and distributors who would like to present and measure the quality of the products already available or those new to the Polish market. An innovative feature which makes Wine Expo Poland Awards distinctive against other contests is the involvement of two juries. Having rated wines, the juries give two distinct types of awards: a professional jury composed of renowned experts in the wine industry, who assess wines according to international standards; the second jury, composed of consumers unrelated to the industry, awards independent medals. The concept of double awards is of great importance in a country like Poland, where with the growing education of consumers, preferences change dynamically. Consulting both professionals and consumers is a way to better understand the rules prevailing on the Polish market.